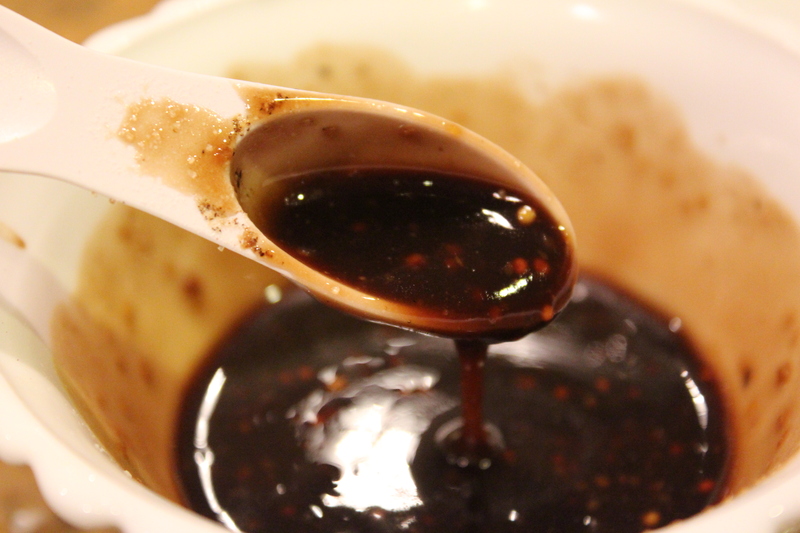 I made this “glaze” but then I didn’t… glaze anything with it. I drizzled it on top of our foods. So I suppose it’s a “dressing” not a glaze. This meal was a pantry/freezer meal, I try to keep enough meat in the freezer to make at least two totally different meals. I wanted to use up the mustard that was the least desired and now a not so welcome addition to sandwiches. It’s one of those whole grain ones where the seeds can get stuck in your teeth. It’s potentially obnoxious, but very tasty. I seriously have an issue where I cook for like 5-6 people even though there are often no more than two people (sometimes I’m even just cooking for myself) but I can’t help it. 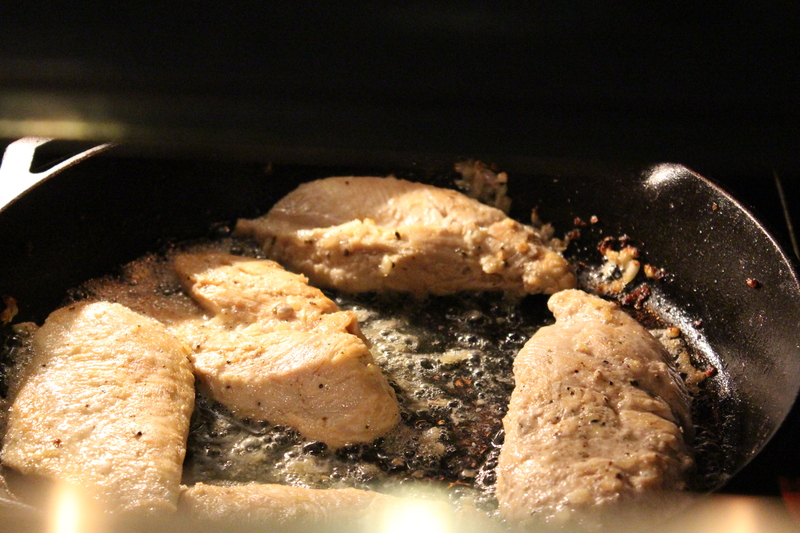 I probably didn’t even realize I was cooking FIVE chicken breasts at this point in time… I just now noticed how much food was in the skillet! Yikes! I chose to plate two for my close-personal-ever-so-hungry-dinner-companion, and one for myself. The others were stuck in the fridge for chopping up and making another meal with. I suppose I could’ve tossed them in the food processor and added them to the collection of shredded chicken I have in the freezer for future quick weeknight meals. Make some fresh broccoli, steamed until cooked, but not mushy and gross. 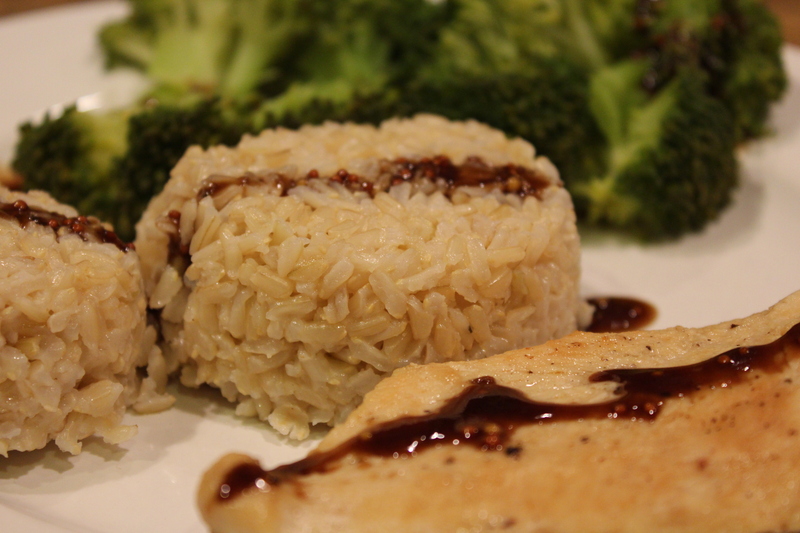 Make yourself some brown rice (if making brown, start cooking well before anything else starts…) and drizzle the dressing on all three pieces. Since I’m trying to learn to focus on how big portion sizes are (not that I’m scaling them down at this point, I just wanna get an idea of what they are before I actually deal with what to do with that info…) I have taken to scooping 1/4 c or 1/3 c sized lumps of rice onto our plates, when I do this, and actually follow “suggested serving sizes” we rarely go back for seconds.